Every business has a back story. This entrepreneurial couple reveals the struggles they encountered when they were just starting their venture, which is now a booming franchise opportunity. <>As the popular Japanese proverb tells us, “Fall down seven times and stand up eight.” It was in 2009 that Bong Magpayo and his wife Cholly followed this advice and established their own business in the corn capital of the Philippines, South Cotabato. After managing a franchised business for several years, this entrepreneurial couple decided to take their business skills to the next level by coming up with their own concept. Sweet CORNer, as it came to be known, is the offspring of the Magpayos’ hard work and dedication. Prior to establishing their own business, they operated a food cart franchise that generated enough income to support their growing family. “The food cart that we franchised was enough to support our daily needs during those times. But the sales started to decline and we’re quickly running out of cash. We had to act fast. That was when we decided that it’s time to establish our own business,” Bong said. Establishing a business is one thing, but managing it is another story. 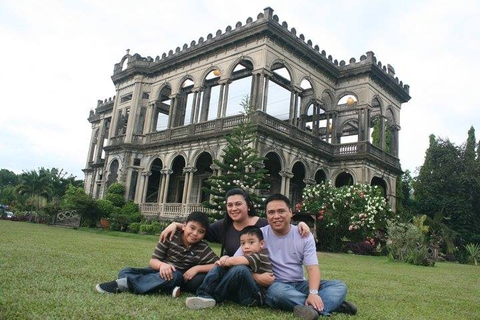 The early days of Sweet CORNer were to the Magpayos their most challenging experience to date. “When we’re still starting, me and my wife did all the legwork. We’ll wake up very early in the morning and sleep very late at night. Those days were very tiring,” Bong recalled. The price of starting Sweet CORNer proved too much to handle for the couple, especially for Cholly. “I had two miscarriages during that time. We never had someone to really help us. Buying the raw materials, looking for suppliers, carrying the entire heavy luggage, all the packing and cooking, we did it all by ourselves,” she revealed. Working all day and all night was the norm for the couple during those times. “Nobody wants to lend us any money. We practically did everything. It was very exhausting, but we thought, we’re not going to give up so easily,” shared Bong. Gladly, the Magpayos didn’t succumb to the difficulties. The couple’s effort eventually paid off as Sweet CORNer became an instant success. Potential franchisees started to inquire on their business one-by-one. From having five initial stores, Sweet CORNer has expanded their outlets to 80. Being a hands-on type of franchisors is certainly an effective technique in garnering up-and-coming entrepreneurs to buy their franchise. “We like to help our franchisees ourselves. We look for cheap raw materials to increase their income and lessen their expense. It pays off and it makes them happy. If they have questions, they can come and ask us or text us directly. If they’re having difficulties running the franchise, we’re willing to lend them a hand. We’ll provide everything, but as franchisees, they have to also do their part,” Bong emphasized. 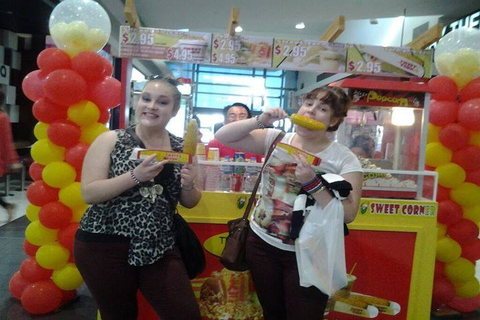 Sweet CORNer recently went global by opening two new outlets in Melbourne, Australia. Another one in Woodberry, New York is underway. “We’re the first home-grown brand to have opened a store in Australia. In just 5 years, we were able to go global. This maybe the greatest achievement of Sweet CORNer yet,” Bong pointed out. As for future entrepreneurs, Bong and Cholly reminded that working hard is not necessarily a bad thing, but it is a must to know when to stop and rest for a while. “Don’t overuse your body. Share your blessings. Have business partners or be a franchisee. Work hard and work smart,” advised the couple. Truly, the bitter-sweet experience of the Magpayos is something to inspire other entrepreneurs. Taste the sweetness of success through getting a franchise of Sweet CORNer. To learn more about this promising business opportunity, visit its online directory listing by following this link.